To mark the release of Kingdom Hearts HD 2.8, Sony is releasing a special Kingdom Hearts themed PlayStation 4 in Japan. 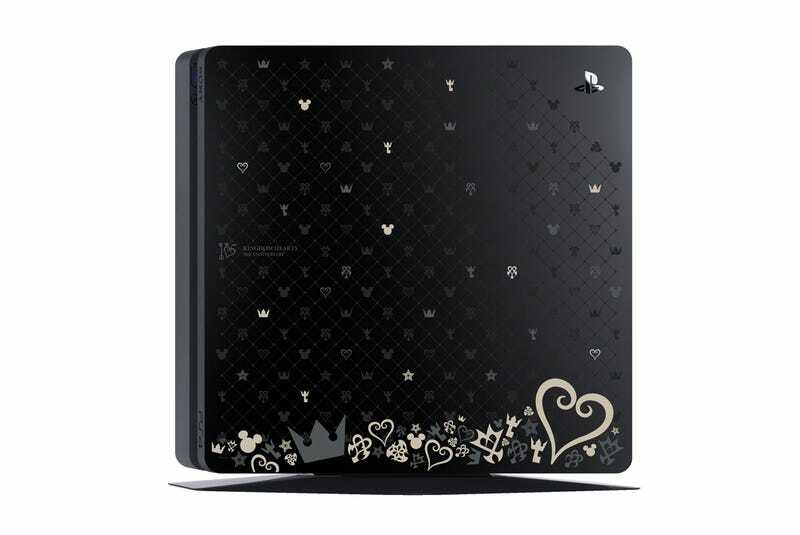 According to 4Gamer, the console is available as either a 500GB or 1TB jet black PS4 and has a special Kingdom Hearts 15th anniversary top cover, which is also available separately for 2,000 yen (US$17.50). It also runs a special Kingdom Hearts menu theme. The 500GB version is available for 33,980 yen ($297), while the 1TB one is 38,980 yen ($341). No word on a Western release.